One Easter in Italy we were preparing supper we heard chanting. I turned off the flame under the pasta water; we pulled on jackets and followed the sounds and lights moving across the valley. The sun had not set and we could just make out a group of people holding candles and following our local priest, Don Ferruccio, responding to his Ave Maria. ‘Is it a special feast?’ I asked a straggler. Interesting, I thought. I wonder how many there are? We followed, dedicating thoughts to a different person at each shrine, most tucked into drystone walls, particularly where tracks crossed, and sometime sadly where there had been an accident, the victim remembered in the collective valley prayers. My companion was carrying a watering can and a bunch of calla lilies to fill and leave a lily in the jar in front of each image. It was a peaceful, companionable procession which wandered up the valley and down again, to end with wine and dry biscuits in the priest’s house next to the church. Not long after we decided to explore southern Italy and ended up camping on the spur – the Gargano. We pitched tent by the beach near Peschici.Then the beaches were undiscovered, all traffic snaked its way inland to San Giovanni Rotondo where, we were told, miracles were taking place. 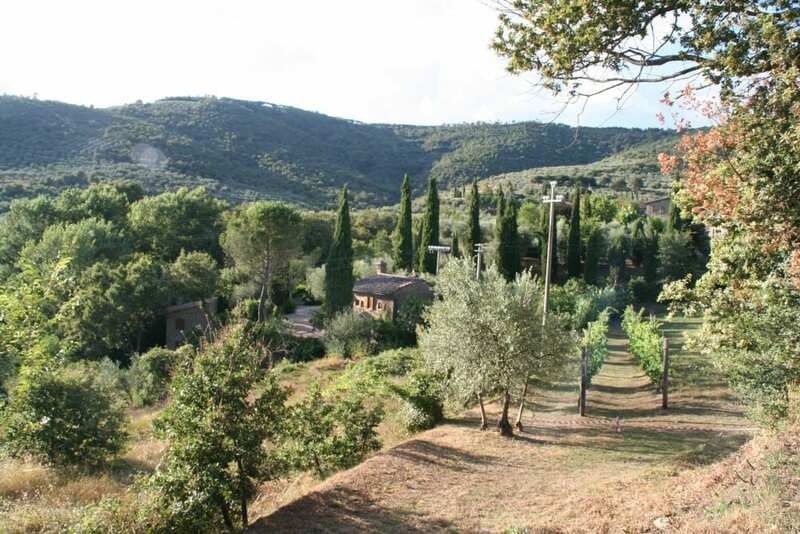 It was a poor agricultural village that had grown to accommodate a hospital and lodgings for pilgrims who came to see the Capuchin friar who was performing these miracles – Padre Pio. Born Francesco Forgione to illiterate peasant parents in the remote village of Pietrelcina, he followed his name to become a Capuchin friar in the order that had broken away from the Franciscans in the 1500s. His fame spread when, nearly 30, the wounds of Christ on the cross appeared on his hands, feet and side – the stigmata. Saint Francis in the 1200s was the first to have the stigmata, and few others have followed. From the end of World War I attempts were made by the Roman Catholic Church to check whether he really had the stigmata and whether he had performed miracles. A monsignor called him an imposter; physicians thought the wounds might be self-inflicted but could find no proof; popes were wary of his immense popularity. 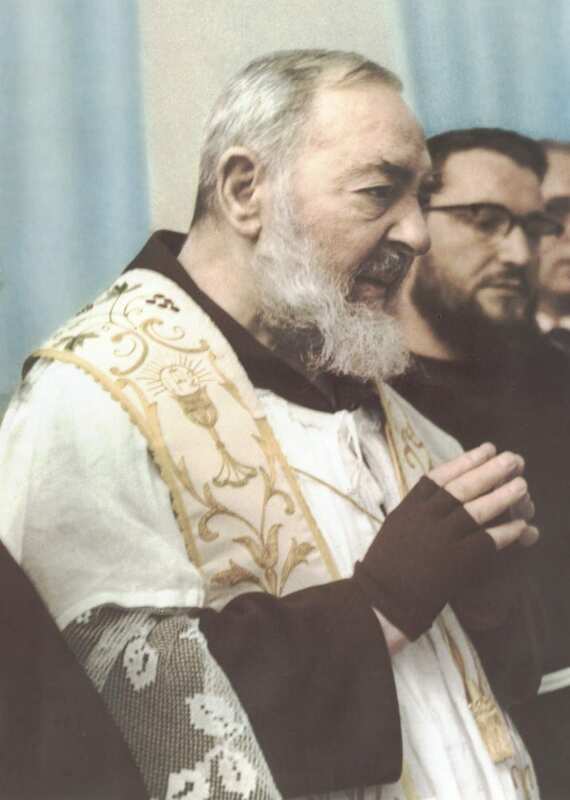 Padre Pio wrote that the wounds embarrassed him, but pilgrims flocked to his church at San Giovanni Rotondo, and I followed them the year before he died in 1968. It was a hot summer day. Inside the simple church were many shrines with candles by little statues or parts of the body – legs, arms, feet, even heads – that had been cured by Padre Pio. The church was packed, many having travelled from afar. He didn’t say mass, but just appeared on a balcony and held up his hands. The stigmata were covered with dark mittens, He made the sign of the cross and said something which was hard to hear, paused for a few minutes, and then turned and left. After his death statues appeared and there were calls for him to be canonised. Opposition was overwhelmed by the will of the masses and statues appeared for sale even in service stations on the motorway. Finally he was beatified in 1999, and it was then that I saw him replace one of the Madonnas in our valley. After his canonisation, more virgins were replaced by the new Saint Pio. Since then, our priest hasn’t led another procession to the shrines in our valley, judging the Ave Marias to be inappropriate, I presume.